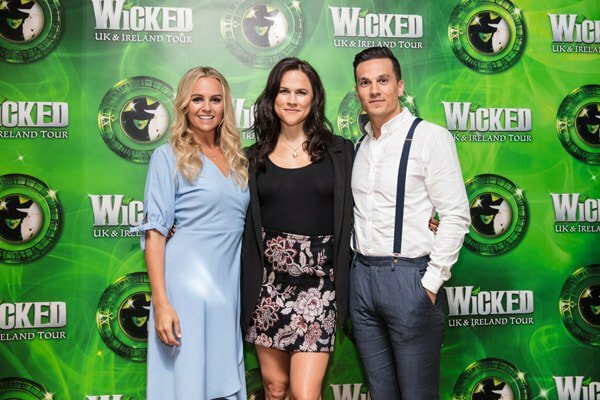 The full cast has just been announced for the 2018 UK & Ireland Tour of Wicked the Musical which kicks off at Bristol Hippodrome on 31st January. Joining the previously announced Aaron Sidwell as Fiyero is Amy Ross (Elphaba), Helen Woolf (Glinda), Steven Pinder (The Wizard and Doctor Dillamond), Kim Ismay (Madame Morrible), Emily Shaw (Nessarose), Iddon Jones (Boq) and Nikki Bentley (Standby for Elphaba). They will be joined by Charli Baptie, Jason Broderick, Samantha Brown, Hannah Cadec, Grace Chapman, James Davies-Williams, Howard Ellis, Amy Goodwin, Daniel James Greenaway, Jack Harrison-Cooper, Charlie Karlsen, Nicole Lupino, Stuart MacIver, Stacey McGuire, Sara Morley, Emily Olive Boyd, Georgia Rae Briggs, Paul Saunders, James Titchener, Helen Walsh, Amy Webb, Luke Woollaston and Benjamin Yates.